Since Nov. 25, Canadian real estate agent John-Ross Parks has been camping out on the roof of the Royal LePage Shelter Foundation, a nonprofit that serves women and children who have been abused. Parks is live-streaming the experience and will stay on the roof until he reaches a fundraising goal of $25,000. Donors can give any amount they'd like, or they can have Parks complete a challenge for a specific donation amount that ranges from $100 to $5,000. Those are the first words you’ll read on icanrebuild.com, real estate agent John-Ross Parks’ fundraising website for the Royal LePage Shelter Foundation, a nonprofit organization that helps women and children across Canada escape violent households and rebuild their lives. According to the foundation’s site, the organization was established by Royal LePage, a well-known Canadian real estate company that Parks works for. 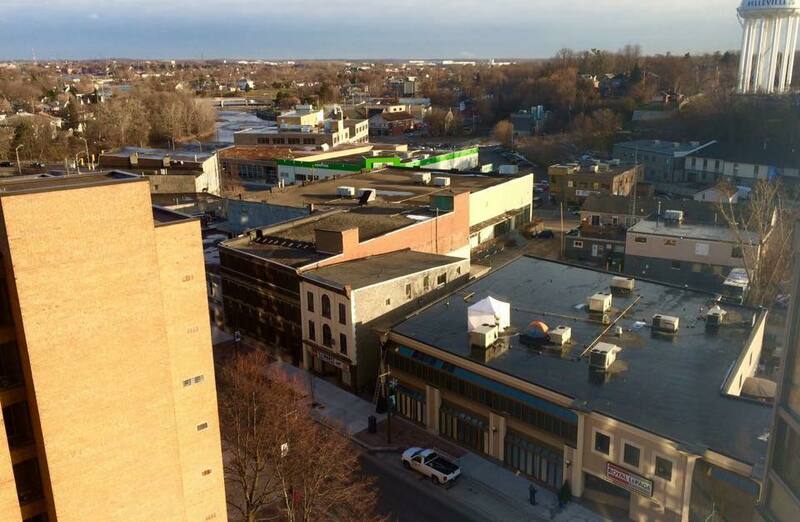 Since Nov. 25, Parks has been camping out on Royal LePage ProAlliance Realty’s roof in Belleville and vows to stay there until he reaches his $25,000 fundraising goal. Parks is live streaming his experience on YouTube and through a series of Facebook Live videos that show him completing a number of challenges — all for a donation, of course. Donors can simply send a gift of any amount, but those who’d like to giggle while giving can choose a challenge for Parks to complete as a “thank you” for their support. 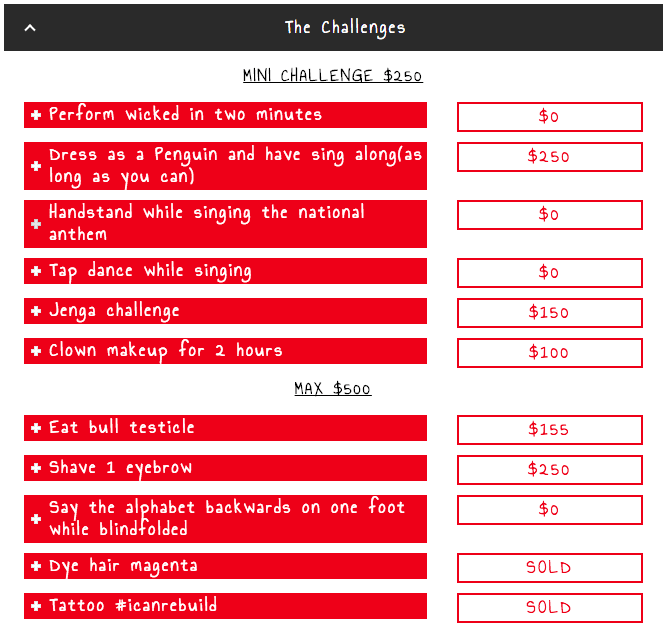 The website lists a number of challenges that range from wearing clown makeup for a $100 donation, eating a bull testicle for a $155 donation, or getting a #icanrebuild tattoo for a $500 donation. For those who want to really test Parks’ limits, they can donate $5,000 and make him complete a life challenge, one of which includes interviewing for and securing a job in just 30 minutes. And for those who’d like to provide Parks a little relief as he braves the winter’s cold on a roof, they can donate anywhere from $50 to $250 so Parks can have access to amenities such as a washing bucket, bathroom breaks, packs of ramen noodles or a change of clothes. So far, Parks has dyed his hair bright red, shaved one eyebrow, dressed up as a penguin, performed a poem, eaten wet dog food and gotten a #icanrebuild tattoo. Parks has raised $8,967, and he may blow past his goal soon — Parks and his supporters are trying to get Ellen DeGeneres to take notice of his fundraiser and feature it on her show. According to a video interview with Sandy Sidsworth, who works for a Belleville women’s shelter that the foundation supports, the money raised will help provide specialized support for women who are experiencing trauma or PTSD, help shorten the wait list, provide transportation services to rehab and medical support, and help improve the transitional housing LePage Royal provides at no cost to the 800 women they serve per month. “I’m starting this journey with the clothes on my back and a bag, often the same way women in the shelter system begin their journey,” says Parks. Is your brokerage a certifiable 'force for good'?